A certain defensiveness is settling over the elected leadership of the Tibetan government-in-exile (TGIE). The self-immolation crisis in Tibet and the resignations of the Tibetan Envoys have placed extreme pressure on the TGIE leadership’s signature Middle Way policy of asking China for Tibetan autonomy under Chinese sovereignty. At a time when this policy is becoming more challenging to defend, a new campaign has emerged that – rather conveniently – could drastically curtail any criticism of the TGIE leadership. This campaign involves resurrecting a year-old debate over the controversial restructuring and re-naming of the TGIE. Ironically, it was launched at the Tibetan Democracy Day celebrations on September 2, when Kalon Tripa Lobsang Sangay and Parliamentary Speaker Penpa Tsering condemned unnamed individuals who caused “hurt” to His Holiness the Dalai Lama. On August 3, 2012 at a teaching in Ladakh, His Holiness made comments on the nature and origin of the term “Tsenjol Bod Shung” (TGIE), and the effect of separating “Ganden Phodrang” (technically, the institution of the Dalai Lama) from “Bod Shung” (the Tibetan government or administration). His Holiness also stated that it was incorrect to say that “Bod Shung” was disbanded (his phrase was “dubsok gyap” or packed up), and that claims to that effect made him disappointed (“lo phampa”). As always, His Holiness gave a detailed and logical explanation. What His Holiness did NOT say – and this is very important – is that he wanted his words to be exploited by others to stifle free speech. Nor did His Holiness say he wanted his words to be exploited by others to insulate politicians from criticism. Unfortunately, that appears to be what is happening. At the Democracy Day celebration on September 2, Kalon Tripa Sangay condemned some unnamed people who, “either knowingly or unknowingly”, are creating divisions among the Tibetan people. (Parliament changed the title of Kalon Tripa to Sikyong or ‘political leader’ as this article was going to press.) Speaker Tsering similarly attacked “baseless claims made by a small group of Tibetans causing distress to His Holiness the Dalai Lama”. “Instead of doing their duties, a small group of Tibetans have engaged in making groundless claims on matters concerning the general meeting, special parliament session and His Holiness the Dalai Lama’s devolution of political authority to the democratically-elected CTA leadership, to create discord in the community”. Thus, in a neat rhetorical move, Speaker Tsering brought Parliament’s decisions under the umbrella of His Holiness. Criticism of Parliamentary decisions are now attacked for creating “discord” and hurt to His Holiness. Speaker Tsering issued a warning to his fellow Parliamentarians: “[I]f you expressed own personal views, then you are not carrying out your responsibilities of being a parliamentarian”. Apparently, Speaker Tsering now believes that individual members of Parliament are obligated to support the official line. Such a philosophy, however, runs counter to the ideals of liberal democracy – the very ideals for which His Holiness has worked for over sixty years. The duty of a legislator is to their constituents, and they absolutely can disagree with their parliamentary leaders. If not, the system would be a one-party dictatorship. 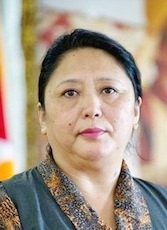 Speaker Tsering also issued a challenge to the Tibetan media. He warned the media not to be “a medium to spread discord within the community”. Specifically, he said that “some people write under pseudonyms articles and comments in websites to destabilise the community and denigrate His Holiness the Dalai Lama”. He called on the media to “properly verify the contents of and intentions behind such articles and comments”. 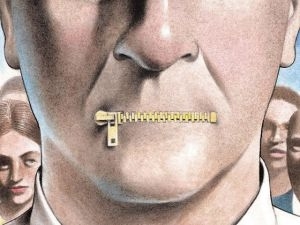 The Speaker sounds (intentionally or not) uncomfortably close to authoritarian regimes that seek to control popular opinion by controlling or intimidating the media. This is unacceptable in a genuine democracy. The media should be a “Fourth Estate” that investigates and challenges any powerful institution and holds such power accountable. In a related development, a new group has suddenly formed called Tsokpa Chukchik (Eleven Associations -including the Shopkeepers Association and the Restaurants Association), made up of eleven rather small associations based in Dharamsala, some of which are quite new. Its ostensible goal is to defend the TGIE’s controversial name change but with the threat to "strictly deal with" any person making "baseless" claims against His Holiness, even challenging to take those who hurt His Holiness to court. In a press conference held on this issue, when a journalist asked who are these persons hurting His Holiness, the Eleven Associations told the reporter to go and ask His Holiness. It should be needless to recall the numerous times that His Holiness has spoken out in favor of democracy and free speech. In fact these are His Holiness’ life-long mission and when His Holiness handed power to the Kalon Tripa on August 8, 2011, His Holiness said that his ‘long awaited heartfelt wish was fulfilled.’ Therefore, His Holiness’s deeply-held pro-democracy position could not be clearer. Given these principles, it is almost incomprehensible that this campaign of attempted intimidation is now being carried out by top Tibetan politicians in the name of His Holiness. Sangay campaigned on adding the word “shung” (government) back to the TGIE’s Tibetan name, criticizing the name-change that he now strenuously defends. On March 18, 2011, the Parliament itself went against His Holiness’s wishes, when it passed a resolution “strongly beseeching His Holiness the Dalai Lama to continue to remain as both the spiritual and temporal leader of the Tibetan people” (even though His Holiness had already stated his desire to step down). On May 24, 2011, the participants of the Special General Meeting of Tibetans unanimously called for His Holiness to remain as symbolic Head of State of the TGIE. Speaker Tsering is quoted in an official press release bringing this resolution to His Holiness. The unanimous recommendation of the Special General Meeting (in which Sangay, Tsering and most of the Parliamentarians participated) went against His Holiness’s expressed wish to step down. This year on March 20, 2012, a majority in Parliament challenged the TGIE’s name-change by supporting a resolution to change the TGIE’s Tibetan name back to include the word “shung” (in this case, the proposal was “'U Bod Mi Shung”, loosely: Central Tibetan Government or Administration). The resolution failed to reach the required 29 votes (2/3 majority). However, it received 23 votes in favor, over a 50% majority. Perhaps the Tibetan leadership should now criticize itself? Or perhaps this suggests that something else is at play; that this campaign is not really about the restructuring and re-naming but rather intended to silence critics of the TGIE leadership and its policies? 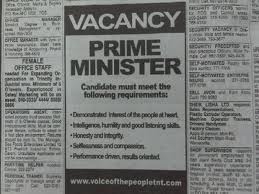 This campaign is farcical at best and dangerous at worst. Since the 2008 uprising in Tibet, there has been a growing voice in the Tibetan exile community that is publicly challenging the current approach to China and criticizing the methods that the TGIE has employed for the last few decades. Some in the exile community appear threatened by this criticism. 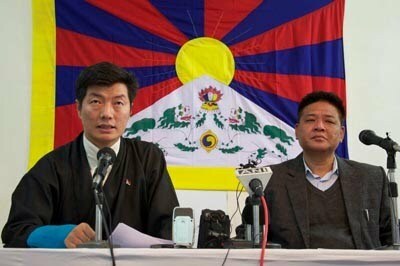 Now the Tibetan people are seeing an attempt to turn criticism of the TGIE leadership into disloyalty to His Holiness. In this current exercise, His Holiness’s statements made in Ladakh (and also in Italy) are grossly misinterpreted and misused. This campaign raises the specter of traitors in our midst, who are guilty of saying that which the administration’s own leaders have already said. Criticism is turned into disloyalty to His Holiness, the media is chastised, and a mysterious Tsokpa Chukchik begins making threats. These tactics create a chilling effect among Tibetans who may fear that they will be wrongfully labeled anti-Dalai Lama simply because they disagree with policies of the TGIE leadership or hold different political views. There is now reportedly an air of "us and them" hovering in many Tibetan communities and especially Dharamsala. Hopefully the Tibetan people will rise above this bait. There is no real threat to “denigrate” His Holiness, who is more revered than ever in the Land of Snows and in exile. Indeed, the Tibetan people are more unified than ever thanks to the inspiration of brave Tibetans inside Tibet, who are willing to risk everything for their country and for His Holiness. The only threat to Tibetan unity that we see here is the threat posed by those who (intentionally or not) exploit His Holiness’s name to stifle free speech and democratic debate. 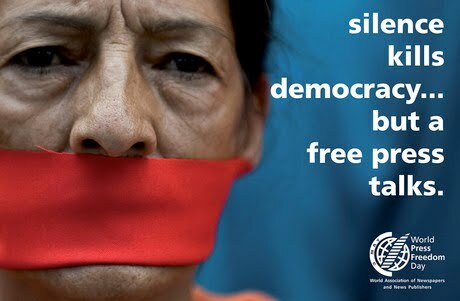 Such anti-democratic actions run counter to His Holiness’ dedication to democracy and civil rights. These actions are an embarrassment that should end now. The broader Tibetan cause is harmed when the leadership uses tactics that are associated in most people’s minds with systems other than democracy: equating disagreement with disloyalty, condemning an unnamed “small group of people” for stirring discord, demanding that all legislators uphold the party line, intimidating the media, etc. The TGIE leadership’s experimentation with such tactics is not a proud moment for them, for the Tibetan people, or for His Holiness’s inspired democratic vision.